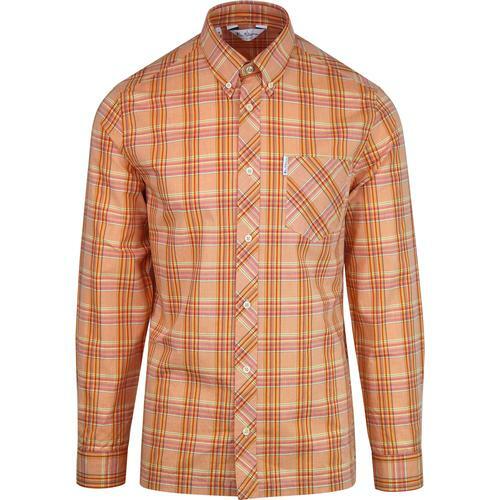 Ben Sherman Men's 1960s Mod button down house check shirt in bark. The subtle autumnal vintage colour palette is sure to a dd a distinctive and refined finish to smart-casual ensembles. Finished with a hint of contrast retro House Check trim to the inner back neck collar. 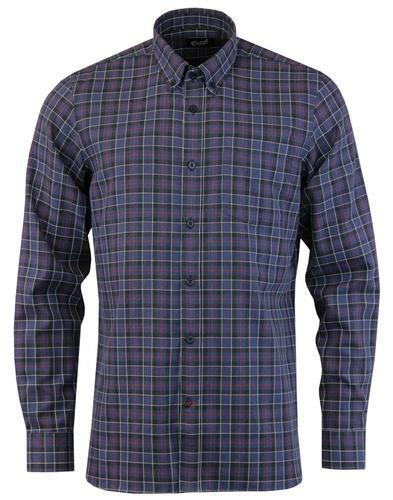 Ben Sherman signature buttons, patch chest pocket and Ben Sherman woven tab detail finish the shirt off in style. A mod clothing classic that looks great teamed with loafers and smart retro trousers. 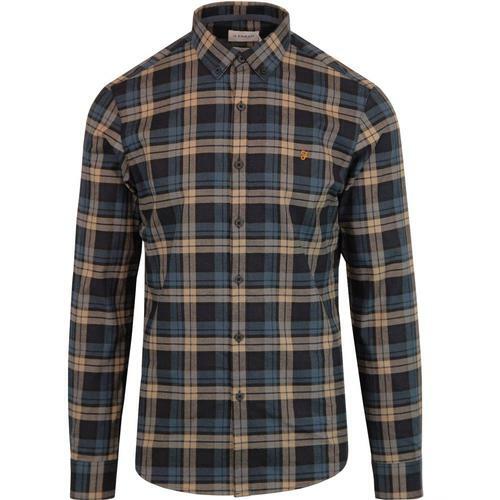 - Ben Sherman men's mod House Check shirt in bark. _ Mod button down collar. - Bias check detailing to the placket and chest pocket. - Ben Sherman woven tab to pocket. 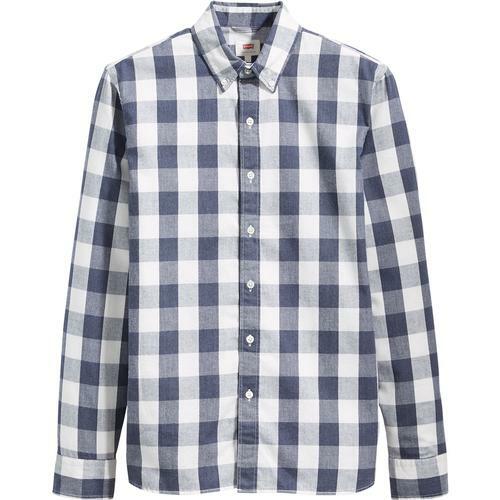 - Ben Sherman button down collar. - Contrast retro house check trim to the inner collar. 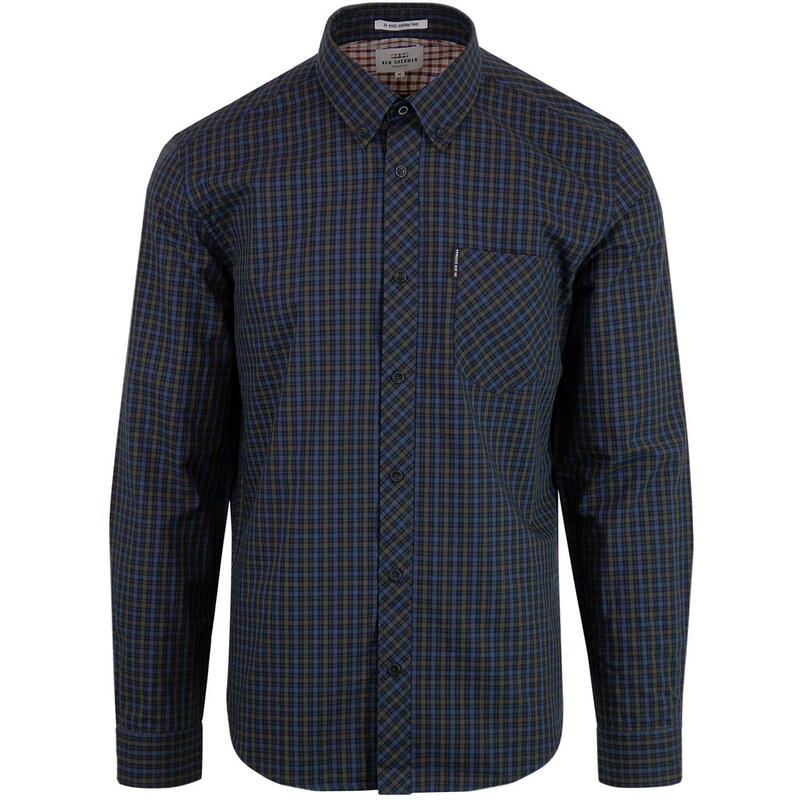 - SKU: 0047925/391 Ben Sherman House Check Shirt.